A sweeping historical epic by an author whose novels have sold over 6 million copies worldwide. A ruined merchant sets sail to seek his fortune in the 19th century Spanish Empire. Haunted by his lost wealth, he gambles the last of his money on what will become the greatest adventure of his life. When Mauro Larrea meets Soledad Montalvo, wife to a London wine merchant, she drags him into a most unexpected future, from the new Mexican republic to magnificent colonial Havana; and from the West Indies to the Andalusia of the 1860s, when the wine trade with England made the small city of Jerez legendary. 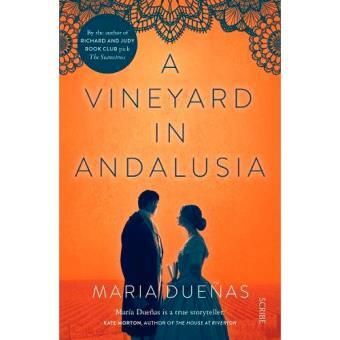 A Vineyard in Andalusia is a novel that speaks of glories and defeats, of silver mines, family intrigues, vineyards, cellars, and splendid cities of faded grandeur. This is a story of courage before adversity, and of a destiny altered for good by the force of passion.